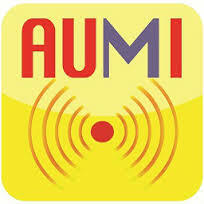 The AUMI Consortium is an international research group dedicated to exploring, sustaining, developing, and sharing the Adaptive Use Musical Instrument, a free software download interface that uses camera tracking to facilitate music-making across all abilities. Originally a project of the Deep Listening Institute (DLI), the AUMI is now situated in the Center for Cognition, Communication and Culture (CCC) in conjunction with the Center for Deep Listening (CDL) at Rensselaer Polytechnic Institute (RPI). In addition to the consortia site at RPI, AUMI-CDL/CCC, member institutions include Carleton University, Lakehead University, McGill University, Memorial University, and University of Kansas. Each consortia site includes at least one ICASP/IISCI researcher. RECENT NEWS from AUMI-CDL/CCC: Technical development on AUMI devices and interfaces continues with outreach to RPI departments of computer science and engineering. The AUMI training program will be funded by the Gould Foundation with AUMI Trainer Leaf Miller and iPad developer Henry Lowengard. Miller will be training RPI students to teach students with disabilities at the Art Center in Troy. 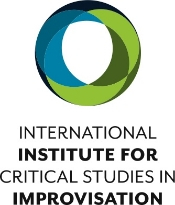 Miller and Lowengard will make presentations at the Montreal IICSI conference in June 2015. Miller will offer training on both iPad and laptop applications. AUMI-McGill reports: In partnership with the Mackay Center School, researchers at McGill continue their year-long research project on the educational value of AUMI for primary school aged children with disabilities. This research has recently received funding from The Rick Hansen Foundation to purchase iPads and laptops for the school. In addition, five SPOT (School of Physical and Occupational Therapy) MSc students are working on the creation of a pedagogic protocol manual for the use of AUMI in primary schools, and two additional OT's are working with the students every week. Three McGill-based researchers are now working on creating new adaptive interfaces, assisting in the coding and tweaking of AUMI, and researching into the next generation of AUMI. In June 2015 the conference on Improvisation and Community Health at McGill will feature a day focusing on AUMI, adaptive technologies and related issues. AUMI-KU InterArts: news from Kansas includes the launch of a digital oral history project by Women, Gender, and Sexuality graduate students Ashley Mog and Liam Lair, on the October 2013 mixed ability performance, “(Un)Rolling the Boulder: Improvising New Communities.” In addition, their print article on the oral history project has been accepted for publication in Oral History Review. Music therapist Elizabeth Boresow is conducting research on the use of the iPad AUMI app in teaching cause and effect, and in helping caregivers, therapists, and teachers learn more about experiences of cause and effect among non-verbal children with severe multiple disabilities. those who participate in listening to or creating it? 500 word proposals and a short bio are due by March 15th, 2015. The 2015 McGill Colloquium (a joint effort of IICSI, IHSP, and SALA) invites submissions related to the theme of "Improvisation and Community Health." This conference will explore these and other related themes, asking questions such as: How might features of improvisatory practices (whether they concern the production, reception or mediation of the improvisatory) suggest new models of social policy? How might the improvisatory arts play a role in creating healthy communities? How might inclusive models of collective improvisation both model, and actually help create, more inclusive, healthy communities? What are the similarities and differences between “unhealthy” improvisations and “ill” communities? Proposals are due by March 8th, 2015. For full submission details, and to view the full call for papers, please visit our website. The monthly Improvising Spaces workshop and speaker series, curated by IICSI postdoctoral fellow Chris Tonelli, continues in St. John’s, Newfoundland with Session V: Conflict, Communication, & Improvisation at 6 pm on Monday, February 23 at the Rocket Room, 272 Water Street. 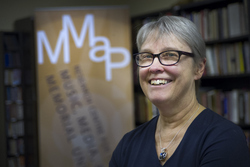 This session features an interdisciplinary dialogue between Dr. Beverley Diamond, Research Chair in Ethnomusicology at Memorial University, political anthropologist Dr. Robin Whitaker, and the improvising duo Spanner (Paul Bendzsa & Rob Power). The session will address the question of how the improvisatory arts might contribute to understanding how to successfully facilitate conflict resolution and intercultural dialogue. These sessions continue through the spring. There is more information on the Facebook page for the series, and on the MUN School of Music webpage. 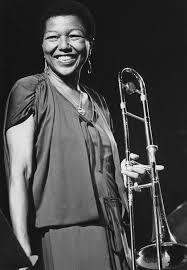 Long-overdue scholarly research on arranger, composer, jazz trombonist, and music educator Melba Doretta Liston (1926-1999) is now available in Black Music Research Journal, Special Issue on Melba Liston, 34, no. 1 (Spring 2014).The issue includes introductions and additional articles by guest editor Monica Hairston-O'Connell and founding members of the Melba Liston Research Collective (MLRC): Tammy Kernodle, Dianthe Spencer, and ICASP/IISCI researchers Lisa Barg and Sherrie Tucker. The Melba Liston Issue also features articles by Geof Bradfield, Maxine Gordon, Cheryl Keyes, and Emmett Price. The special issue grew from a longer collaborative, improvisative research method developed by the MLRC, with support from ICASP and the Center for Black Music Research. 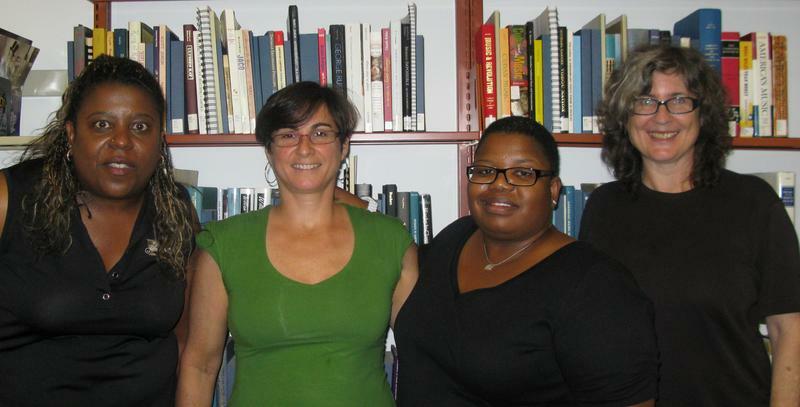 MLRC members (l to r): Dianthe “Dee” Spencer, Lisa Barg, Tammie Kernodle, Sherrie Tucker. Tobin Chodos is a PhD student at UC San Diego, with a joint concentration in Composition and Integrative Studies. Improvisation and Orientalism in PRC is part of project called "Improvisation in the PRC," supported by the Asian Cultural Council. "Jazz is my religion, and Surrealism is my point of view." 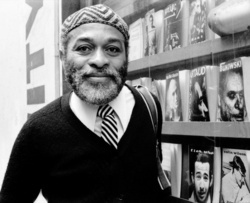 Born in Cairo, Illinois in 1928, ted joans moved to New York City in 1951 and became one of the original beat poets. “If you didn’t know Ted,” writes Robin D.G. Kelley, “then you couldn’t really dig how the Village became hip in the 1950s.” Joans was a charismatic figure on the city’s arts scene; when his friend Charlie Parker died in 1955, joans paid tribute by writing the much-quoted graffiti on walls and hoardings throughout Lower Manhattan: “Bird Lives.” His career took him to residencies in Berlin, Paris, Tangier and Timbuktu. The author of over 30 books, he also wrote about music for the journals Jazz Magazine and Coda. In his last years he and his partner Laura Corsiglia lived in Vancouver, BC, where ted joans passed away in 2003. THEY EVEN STAY OPEN WHEN I KISS!